Misplaced the cap or poker for your Large SilverStick Pipe? Grab an Accessory Pack! 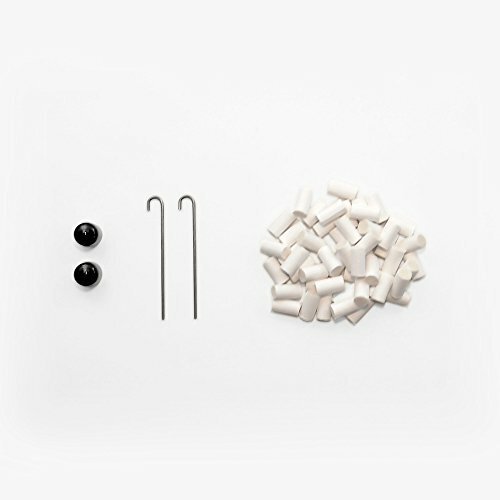 Each kit contains 2 end caps (helpful for sealing in odor or pre-loading product), 2 stainless steel pokers used for cleaning purposes, and 50 biodegradable (Large) natural cotton filters to make sure your experience stays smooth, healthy, and clean. Fits in the SilverStick (Large) Pipe, they will not work with the SilverStick (Slim) Pipe. If you have any questions about this product by SilverStick, contact us by completing and submitting the form below. If you are looking for a specif part number, please include it with your message.